CRAZY COOL GROOVY!!! 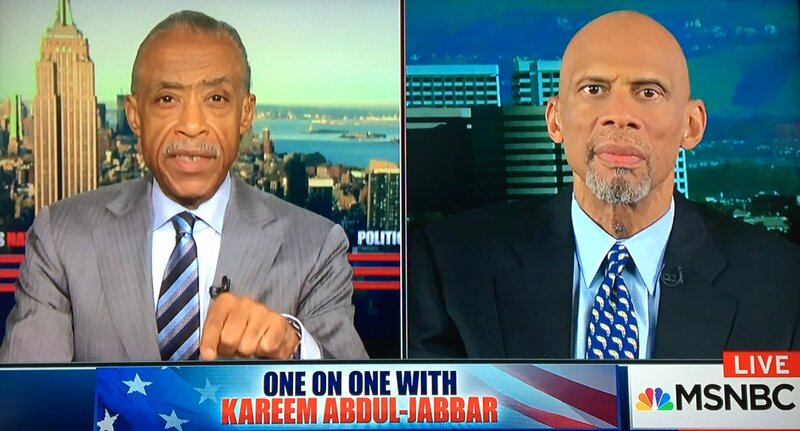 : KAREEM ADBUL-JABBAR On AL SHARPTON!!! LABOR DAY SUNDAY September 3, 2017, HARLEM, NEW YORK CITY, NY native PRO BASKETBALL Hall of Famer/ Activist KAREEM ABDUL-JABBAR was interviewed by Rev. AL SHARPTON for his MSNBC show, POLITICS NATION With AL SHARPTON!!! During their session, JABBAR and rev. SHARPTON discussed his commitment to activism, his views on American ideals, the current political/social climate, President DONALD TRUMP and so much MORE.